Our original chandelier, this is still the most popular design. 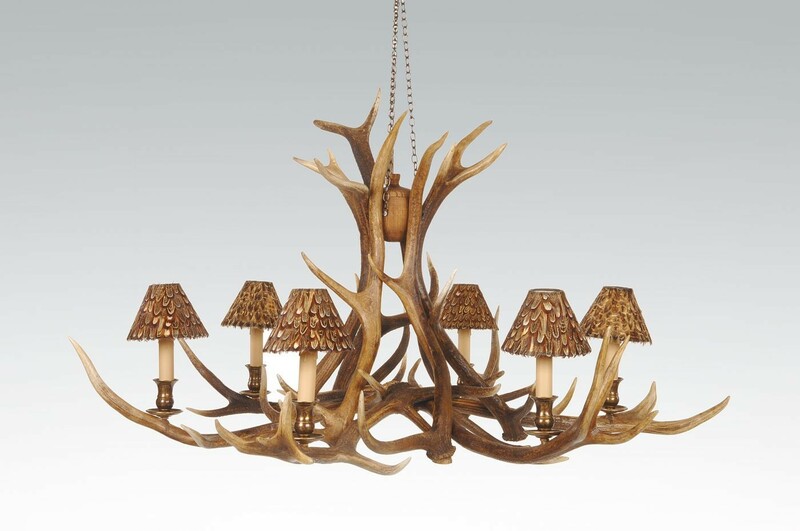 Scottish Red Deer Antlers are used to make this beautiful chandelier. The dimensions will always be approximate depending on the antlers used. The pheasant feather lampshades are an optional extra.